Images by amateur New Zealand photographers. : Elliott. 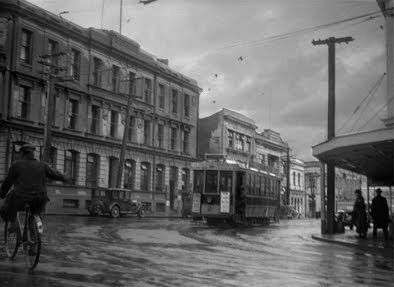 I know very little about the Elliott's only that they appear to have resided in New Lynn, Auckland, and that's only because the film was developed there. 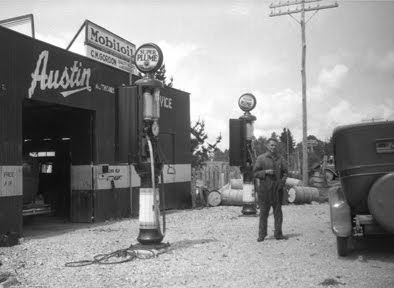 This is a collection of negatives taken during the 1930's of their trips all over the North Island, from the Far North to Wellington. Going by the content of the negatives the family consisted of Mom, Dad, and 2 or 3 daughters, and it appears to be the daughters who were the photographers, but if just one or more I do not know. But one of them took at least one shot of every town that they passed through, which is the main content of this collection. There are few candid shots of the family, Mom or Dad may appear in some shots, but only in the background, which makes me think there was more than one photographer, each one taking the shots they wanted for their own album. Condition of the images varies, most are slightly out-of-focus, and there is some camera-shake, which makes about half unusable. The family appears fairly well-to-do, travelling as they do by car, and as no camping gear can be seen, staying at hotels and guesthouses along the way. The collection consists of about 200 negatives, their trips every year from 1930 to 1941, and must be only a fraction of what they took in earlier and later years. How I would like to see those! If you are related to this family I would like to hear from you so I can update/correct my information. 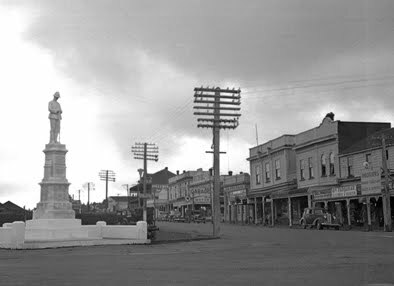 Masonic Hotel, Church St, Opotiki, 1936. 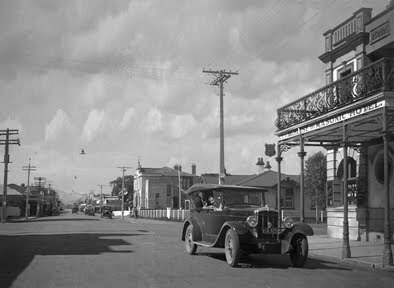 Egmont St, New Plymouth, 1935. I have about 50 from this collection on Once Again Images. I'm still working my way through these.